If you have any questions or want to enquire about dates, use our form to contact Catherine Prindezis or see their website for more information. If you want to get off the beaten track, this is the bucolic bolthole for you. A rustic road with beautiful Malvern views ends at a cluster of Victorian farm buildings amidst a sea of fields. Pleasant, organised owner Catherine – dogs in tow – welcomes you to a neat stone cottage opposite the main house. On the open plan ground floor, sofas cluster around a wood-burner, a small dining table tucked in beside them. The brick and terracotta floor is swathed in Persian rugs, but otherwise the house is decorated with a pared-back elegance, letting the venerable beams and walls sing. At the far end of the room, a Victorian mill wheel is cleverly incorporated into a stylish modern kitchen complete with Aga and welcoming goodies like wine, homemade jam, bread and milk. Up the spiral staircase – tricky for toddlers – and you’re in the eaves, with space for an armchair on the landing, a cosy double room warmed by the wood-burner flue, a sunny single room and a pristine modern bathroom beneath the beams. Outside, breakfast al fresco on your little patch of lawn, or roam Catherine’s beautifully tended garden. Short breaks available. Children over 5 welcome. Cosy basket and box of dog treat biscuits. Dogs £20 for 1 large dog or 2 small. Fantastic footpaths leading to fields and woods with streams nearby for doggie swimming and splashing. Large private paddock for safe free runs. We had a really wonderful few days at Cider Mill Cottage. Catherine, the owner really had gone above and beyond in providing comfortable, top notch and very tasteful accomodation and was really friendly and welcoming when we arrived. We all said 'wow' when we walked through the door! There was a very generous welcome pack and more than enough fuel for the fantastic woodburner. Wonderful walks from the door and nice places to eat near by. Cannot recommend enough! What an absolute delight! Peace and quiet in abundance in the fantastically converted Cider Mill with high spec appliances but retaining the charm of the original use. Very hospitable hosts Catherine and Nic, nothing was too much trouble and one of the best welcome packs I have been given. Extremely comfortable bed with cosy down duvets that just envelop you. Great location with walks literally on the doorstep and secure paddock for exercising the dog if the miles and miles of open fields weren’t enough! Lovely dog friendly cottage, delightful hosts, what more could you ask for! A lovely cottage in a very peaceful location. It is both beautiful and functional - everything you could need is provided in well thought out way. It is beautifully furnished and decorated and everything has been done to a high standard. There is also a wonderful basket of provisions on arrival which was very much appreciated. I have already recommend this cottage to friends and would love to visit again. An amazing cottage in a beautiful location. The hosts were so welcoming and gave lots of good advice about places to visit. We will definitely be back! We opened the door to the cottage and simultaneously exclaimed 'WOW'! From the clever design of the kitchen around the millstone, tasteful decor, sumptuous beds, warmth and a very generous welcome basket we knew we had booked the right place for a relaxing break. Catherine has thought of everything to make the cottage comfortable, it is well equipped and easy to live in. She wants your stay to be special and is on hand if need be but leaves you to enjoy the cottage without intrusion. Looking for peace and quiet in a picturesque setting with easy access to places nearby? Then don't hesitate! As hard-working Londoners, we were craving fresh air, walks galore and the promise of a few blissful days spent fireside, 'sans stress'. Cider Mill was the perfect spot for hunkering down. The antique bed is dreamy - thick down duvets and the woodburner's flue upstairs is a clever design feature that adds to the luxurious feel. Catherine and Nic are nothing short of delightful. They are passionate about what they do - and they do it perfectly. With our haul from the local butcher in the aga, we charged our glasses with Catherine's homemade cider and felt thoroughly smug - mission accomplished! 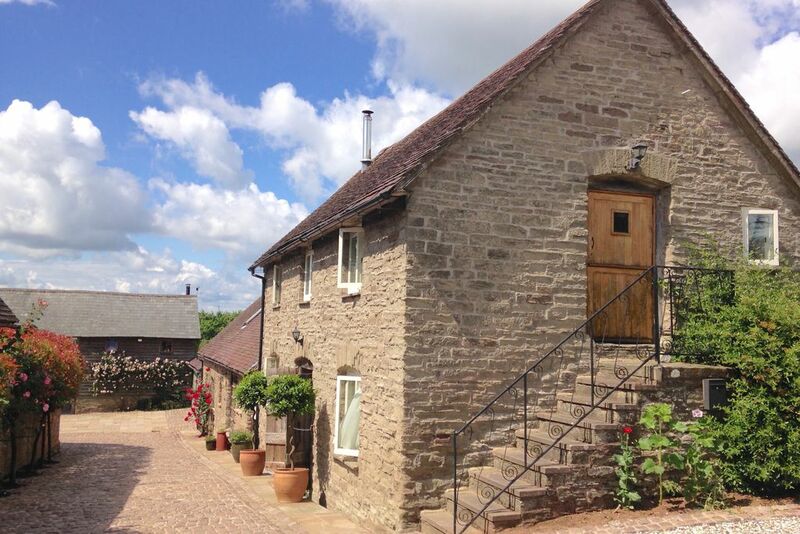 Cider Mill Cottage is a perfect romantic, rural, retreat.....enter the peace and tranquility of the Teme Valley. It is true Bucolic Bliss. Real countryside. No traffic, no noise, just unspoilt views. Relax, unwind and escape the hustle and bustle of everyday living. Put on your walking shoes and head off along the footpaths leading from the garden. Bring your dog and enjoy the wonderful countryside. You'll possibly see Red Kites, Buzzards, Brown Hares, and Barn Owls swooping the driveway at dusk. Ask about the numerous local pubs and restaurants you should visit. Enjoy Gastro cuisine or local ales and ciders all within a short journey. Visit the historic towns of Malvern, Worcester and Ludlow and enjoy visits to their theatres, restaurants, Castle and museums. Take a trip to the wonderful English Heritage and National Trust properties nearby including the magnificent Witley Court.